In November 2016, Snowhound’s CEO Dmytro Zhovtobryukh attended SLUSH Helsinki as part of a group of start-up entrepreneurs representing Jyväskylän Yritystehdas, a business accelerator based in Central Finland. At the event, he had a chance to pitch Snowhound’s company vision to prospective investors, and eventually made one freshly-started angel investor very excited about it. After a couple of hours of in-depth discussions, they decided to follow up immediately after SLUSH. As a result, the seed investment round was closed in January 2017 and consequently proved crucial to Snowhound’s sustainability and fundraising campaign for the entire second year of its operation. It allowed Snowhound to apply for a governmental startup grant (Tekes Tempo), with which – and a small working capital loan from Finnvera – the production team spent the next six months building a playable demo of their latest game project, Deep Sky Derelicts. Having presented the demo at a number of game shows and conferences and receiving plenty of praise and accolades, Dmytro managed to draw quite a lot of interest from various PC publishers before finally entering negotiations with some of them in summer 2017. A publishing agreement with 1C Company, who were the most flexible and cooperative and had the greatest faith in the end product, was signed at the end of July 2017. In addition to marketing, publishing and distribution services, 1C also covered the remaining production costs for Deep Sky Derelicts. The game was then globally announced by 1C at the biggest European game show, Gamescom, in Cologne in August 2017, and began to get the publicity it deserved. 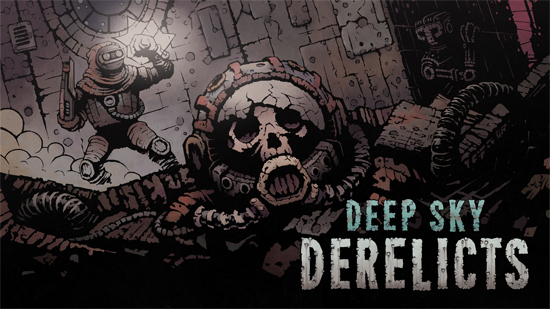 Now, almost one year after those initial steps to find the resources for its production, Deep Sky Derelicts has been successfully pre-released in Early Access on Steam and GOG.com, and has begun making profit for its developers. First impressions and feedback from players are overwhelmingly positive, which holds great promise for Deep Sky Derelicts to become the next indie success story. Its full release is scheduled for early 2018, and will expand the game’s audience by including multiple languages as well as Mac and Linux versions.